Compliance doesn't have to be boring! 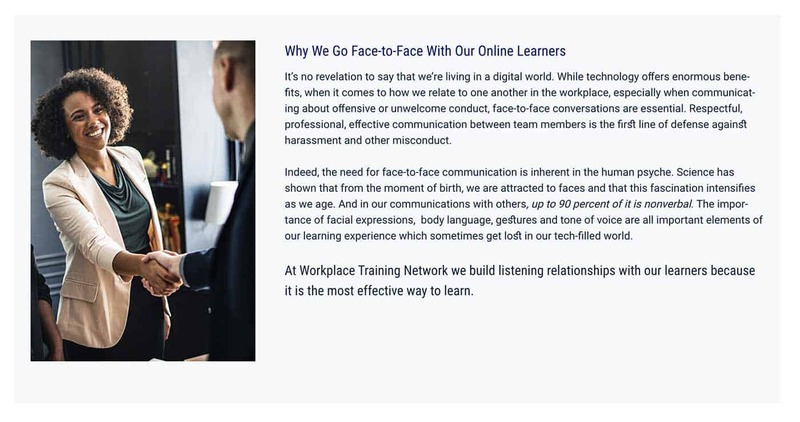 An industry leader, Workplace Training Network offers online and in-person compliance training, testing and course certifications for both supervisors and employees in the healthcare, corporate, automotive, construction and education industries. A favorite client, we’ve worked with them through a lot of growth. Theirs is another WordPress site which has gone through several mutations, changing and supporting them with their business goals. At DMY Studio we can vouch for them! They go above and beyond for their clients, as well as business partners. It is our true joy to be associated with Workplace Training Network.